These flavorful mini bites make a great snack or treat in the morning with your first cup of coffee. 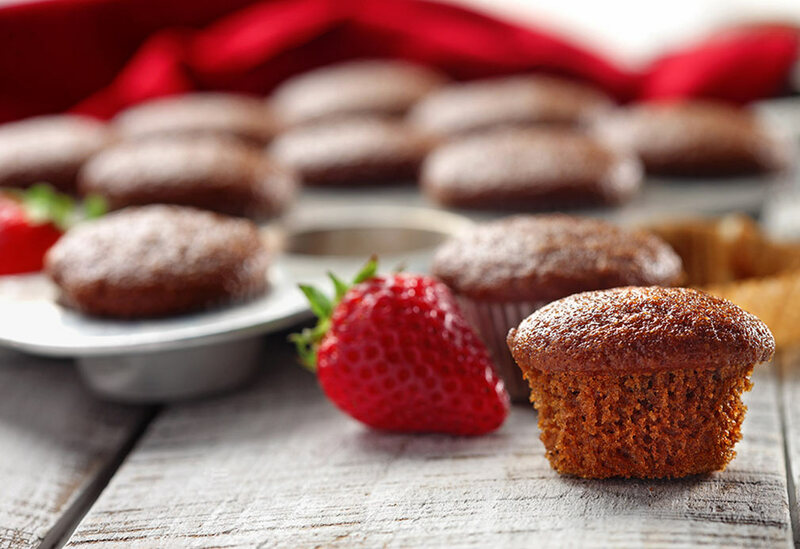 Canola oil in the recipe creates moist, soft muffins. 1. Preheat oven to 325 °F (160 °C). 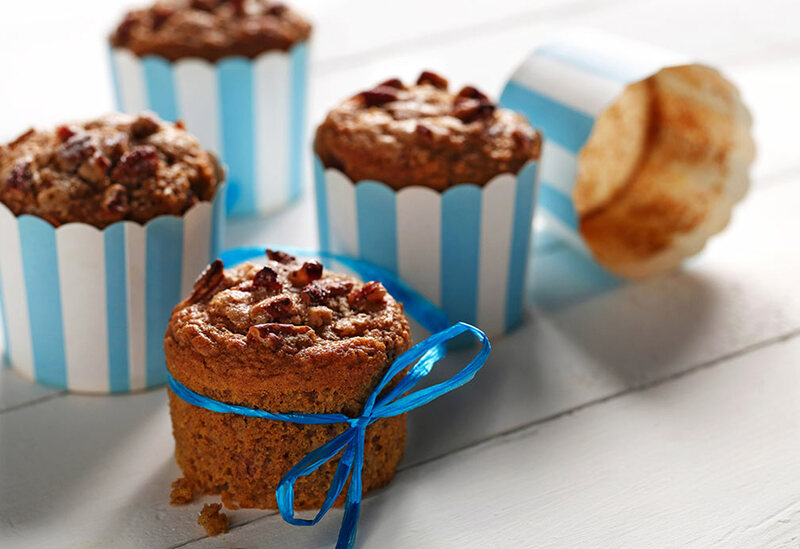 Prepare 4 mini muffin tins of 12 each with paper cups. Set aside. 2. In medium bowl, whisk together flour, ginger, cinnamon and cloves. Set aside. 3. In large bowl, whisk vigorously, canola oil, molasses, sugar and eggs. Set aside. 4. In small bowl, dissolve baking soda with hot water. Add to oil and sugar mixture, whisking until fully blended. Fold in flour mixture until well blended. 5. 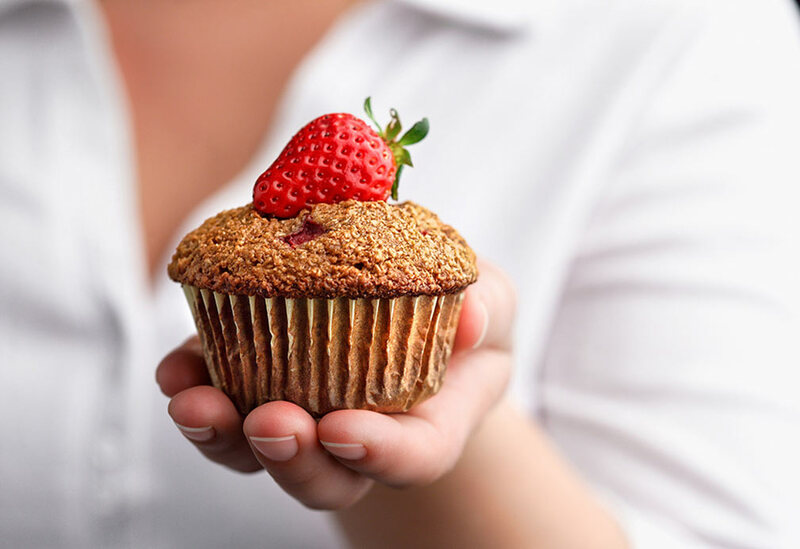 Divide evenly into prepared mini muffin cups. Bake about 9-11 minutes or until cake tester inserted into center comes out clean. Let cool in pans fully, prior to removing. 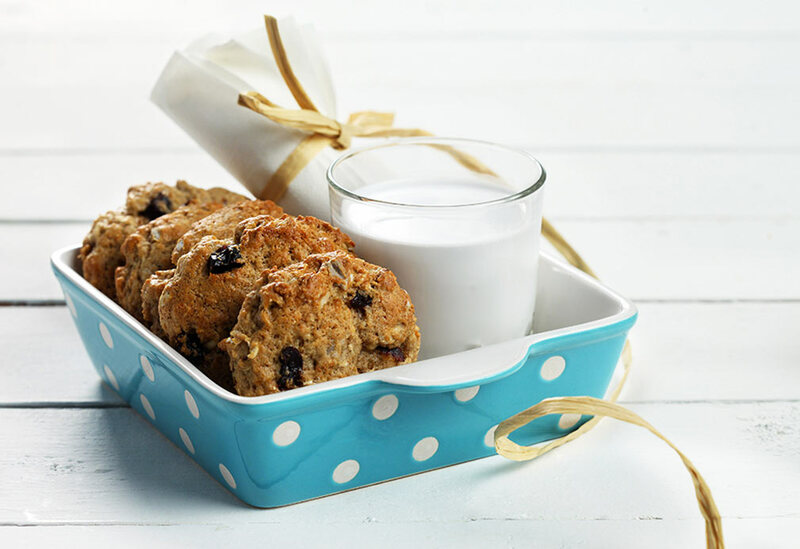 Beat the morning rush with this hearty breakfast cookie. Just grab and go! Allowing the muffins to stand in tins for a few minutes, continues to cook the muffins without drying them out. Breakfast on the go and three food groups as well.